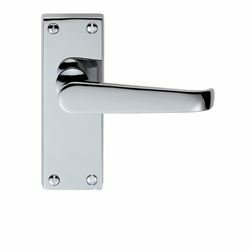 Victorian door handle on backplate in polished chrome supplied in all door handle variations. Part of the Classical range by Carlisle Brass. 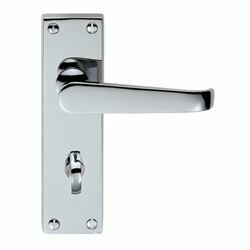 A hot stamped, high quality door handle on a backplate and plated to a quality finish. 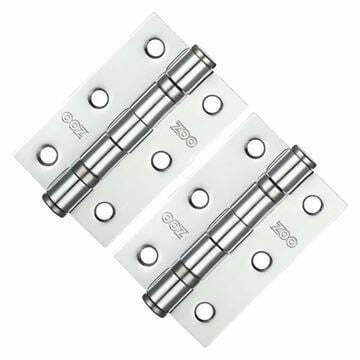 Back plate size 150mm high x 43mm wide (latch backplate is shorter at 118mm x 43mm). Projection - 44mm (from the door face). 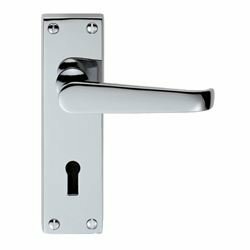 The Latch handle features a shorter backplate than the Lock and Bathroom handles.